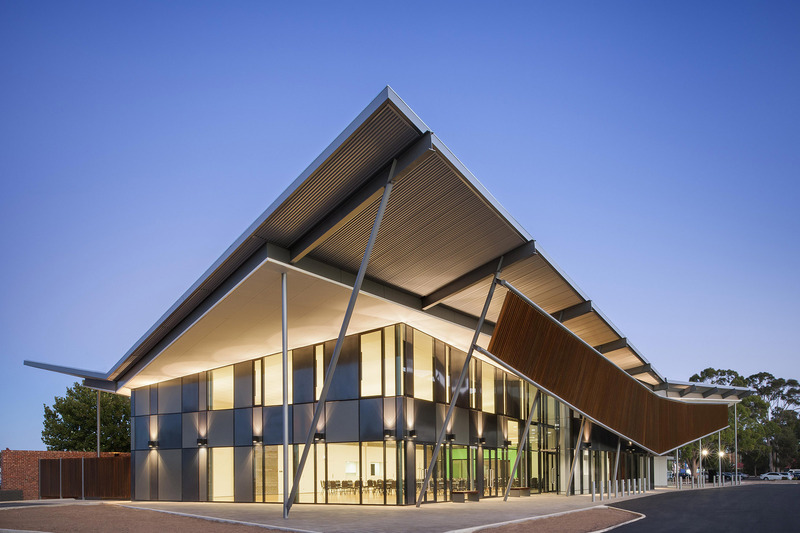 Community Facilities including halls, meeting rooms, café and commercial kitchen. 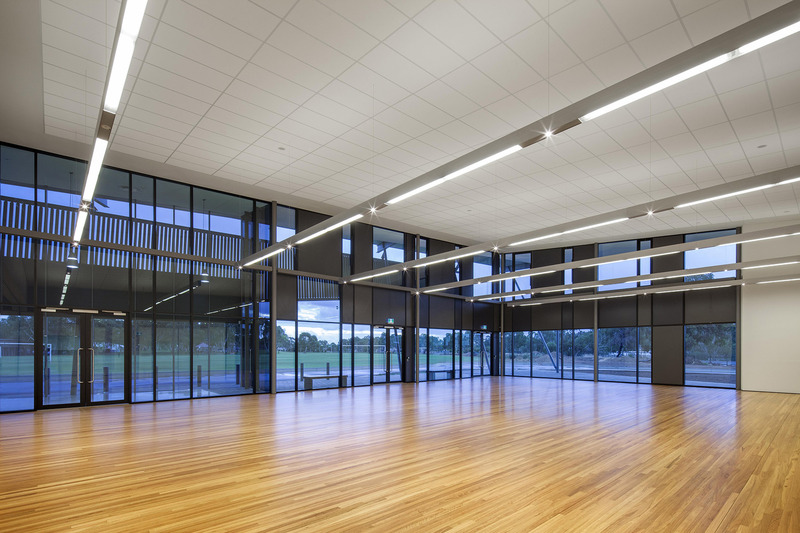 The Thebarton Community Centre in Kings Reserve was designed as an iconic “pavilion in the park” in response to the City of West Torren’s objectives that it be a focus for the community, and a landmark as the northern gateway to the council area. 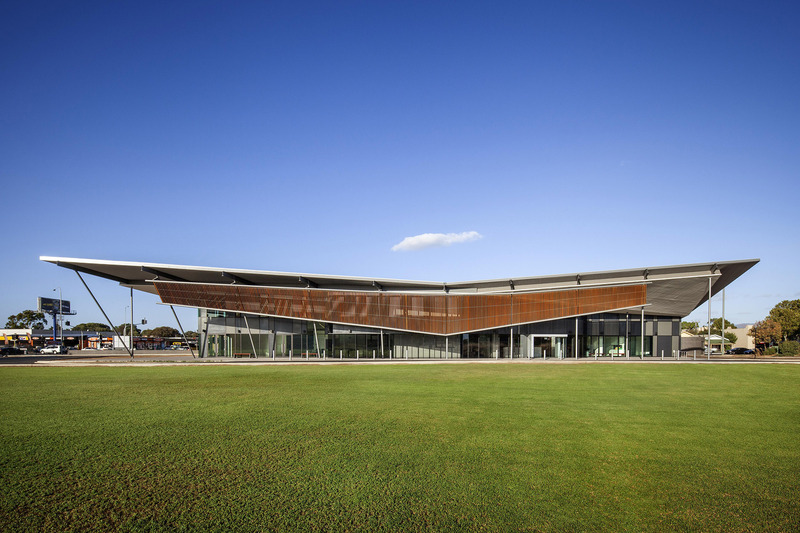 The dominant built form with folded roof planes references movement, flight and the City of West Torrens as a transport hub.